Astronaut Lili and the whole Interplanetary Journey team have been attending ExpoAstronómica since its very first edition, each year organizing even more activities than the year before. In this year's fair, we beat our own record performing Astronaut Lili's Great Show with more than four hundred kids participating. We hope they all enjoyed it as much as we did. Astronaut Lili's show was undoubtedly our biggest event in the fair, but not the only one at all. 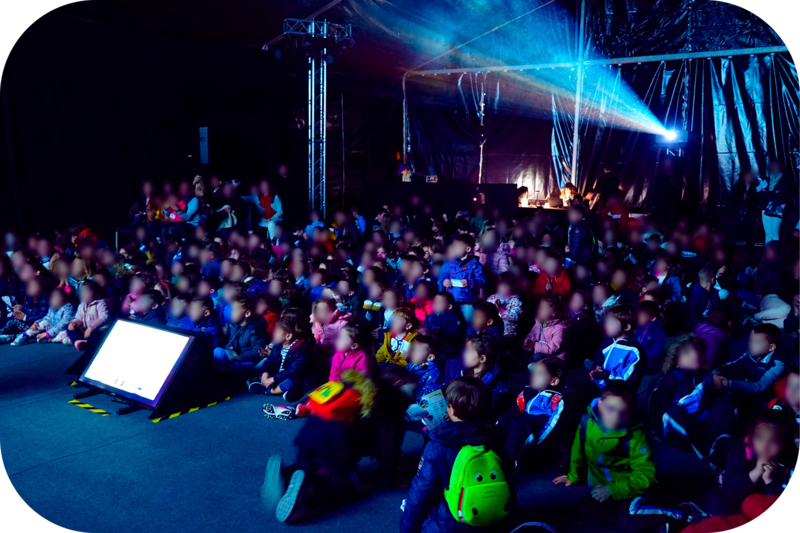 During three days, we offered non-stop a 500-square-meters space-education-themed area where "young astronauts" had lots of fun. Among the activities and experiences present at our space, we included “Astronaut LiLi’s Show”, “Train as an Astronaut“, and the brand new workshops “Build your own Satellite” and “Build a Saturn V“. For older space-fans, we presented at our stands the first public (free) beta of our two new virtual reality experiences “Apollo 11 VR” and “Apollo 17 VR“. Moreover, we built a 3D-printed space-related scaled models exhibition and an ExoMars2020 stand. We presented the 2.0 versión of our Augmented Reality SandBox, and offered many, many more things for everyone to enjoy.